The Red Cross is always in need of volunteers—both blood donors and helpers. This helper (who just happens to be my daughter) was learning the ropes on her first day of volunteering. 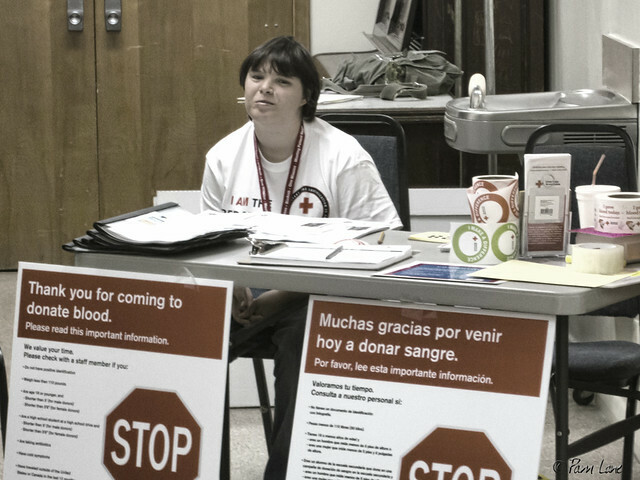 The Red Cross holds frequent blood drives at the Masonic Lodge in Downey. The Masonic Lodge #220 has been part of Downey's history since the 1870s. Click here for more about how they got started in Downey.